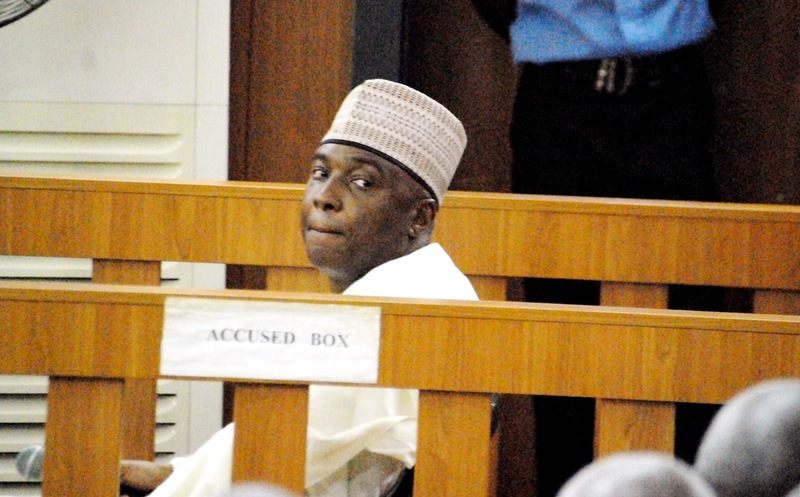 Nigeria’s Senate President, Dr. Bukola Saraki, has asked the Chairman of the Code of Conduct Tribunal, Mr Danladi Umar, to disqualify himself from the case. Senator Saraki is accusing Mr Umar of bias, insisting that he could not get justice under his chairmanship. In a motion he filed against Mr Umar, Saraki asked the chairman to disqualify himself from further participation in his trial on the alleged falsification of asset declaration. 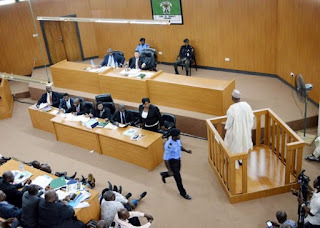 In the motion on notice filed by Senator Saraki on Wednesday, it was contended that the continued presence of Mr Umar on the panel of the Tribunal offended the provisions of Section 36(1) of the Constitution of the Federal Republic of Nigeria. The constitutional provision prescribes that “in the determination of his civil rights and obligations, including any question or determination by or against any government or authority, a person shall be entitled to a fair hearing within a reasonable time by a court or other tribunal established by law and constituted in such manner as to secure its independence and impartiality”. The applicant claimed that with the unfolding events and the ways and manners his trial was being conducted by Mr Umar, there is a likelihood of bias from the chairman and as such he should withdraw himself from further prosecuting him. The motion on notice was brought pursuant to section 36 (1) of the Constitution of the Federal Republic of Nigeria, the common law rule on likelihood of bias and the rules of natural justice. Senator Saraki said that the interest of justice would be served if Mr Umar disqualifies himself from sitting in the panel of the Tribunal to hear and determine the charges being prosecuted against the applicant. No date has been fixed for hearing of the motion. Senator Sariki’s trial on alleged false asset declaration was on Monday put on a day-to-day basis by the Tribunal. On Wednesday the cross examination of the prosecution’s witness continued, with the witnessed asked to go through some of the exhibits he had brought before the court. he had on Tuesday told the court that he did not investigate some of the exhibits.